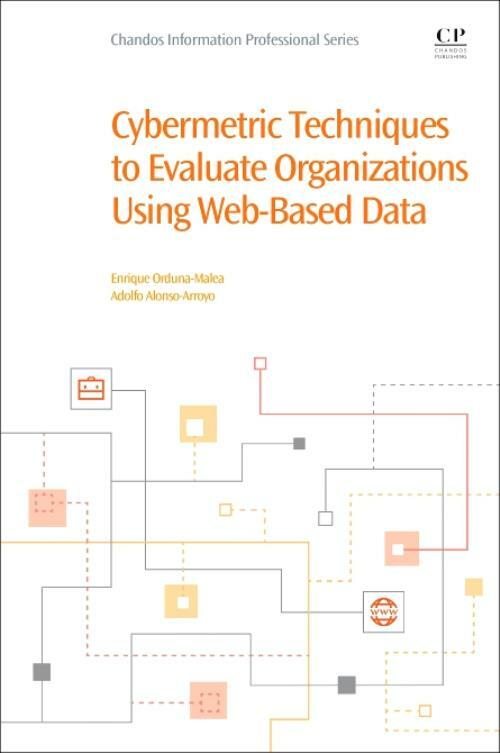 Cybermetric Techniques to Evaluate Organizations Using Web-Based Data proposes a complete and multifaceted analysis model, integrating quantitative and qualitative measures (extracted from web usability, SEO and design interaction metrics and evaluations) with a purpose of finding potential correlations. It also includes metrics from new social media platforms, metrics related to the interaction among companies, impact filtering according to different entity categories, innovation and scientific activities and media presence. This model is then applied to test feasibility and accuracy. Different statistical methods and tests are also applied to guide data gathering and analysis. Enrique Orduna-Malea is Technical Engineer of Telecommunications (Sound & Image), MA in Information Sciences and PhD in Cybermetrics from the Polytechnic University of Valencia in Spain. He also holds a Master Degree in multichannel contents management. His research lines are fundamentally focused on descriptive (testing web indicators and studying analysis units), instrumental (analysis of web sources and search engines) and applied (academic and business environments) webmetrics. Adolfo Alonso-Arroyo works as an Associate Professor in the History of Science and Documentation department, Faculty of Medicine and Dentistry, University of Valencia He holds an MA in Information Sciences (University of Granada) and PhD in Bibliometrics (Polytechnic University of Valencia). His main research line is devoted to the field of assessing the scientific activity from a bibliometric perspective, especially productivity, collaboration and impact.